The Bench for Sarah was designed by London-based designer Mentsen. The description of the bench is as minimal as the bench itself. 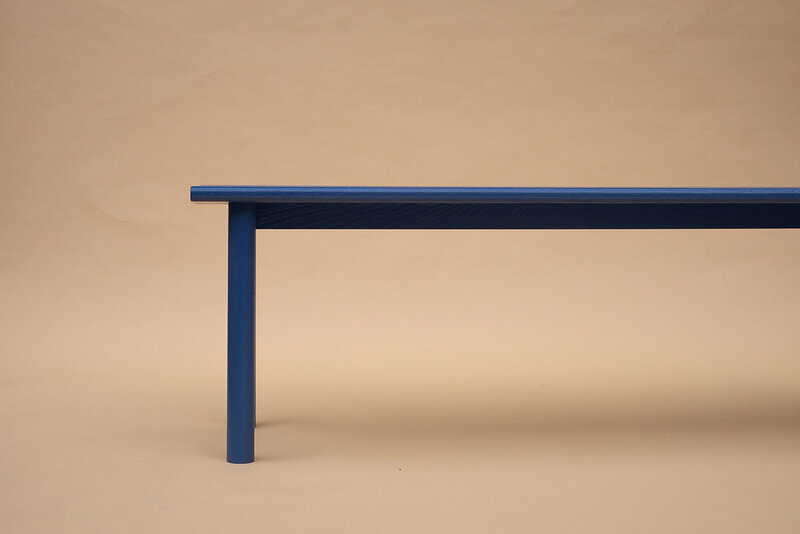 Made from solid oak the bench was designed for a private commision and features a clean, minimalist aesthetic. The simple shape and construction create a lovely smoothness to the piece. The design studio is a partnership between two very talented designers, Yasuyuki Sakurai and Risa Sano. The name of the studio means 'lines and surfaces' in Japenese and has a deep-rooted connection with their product design and visual communication. They have had international recognition through their visual concepts, product design and art direction.